We have done our best to figure the best possible shipping costs. Even though they seem high they are not figured to make money on shipping. We ship to the 50 States based on a product total schedule (see table below). We normally ship USPS First Class or Priority Mail which ever best fits the order. Items shipped to a Florida address will have Sales Tax added to the required items. There is no sales tax on food items, gift certificates, or shipping. 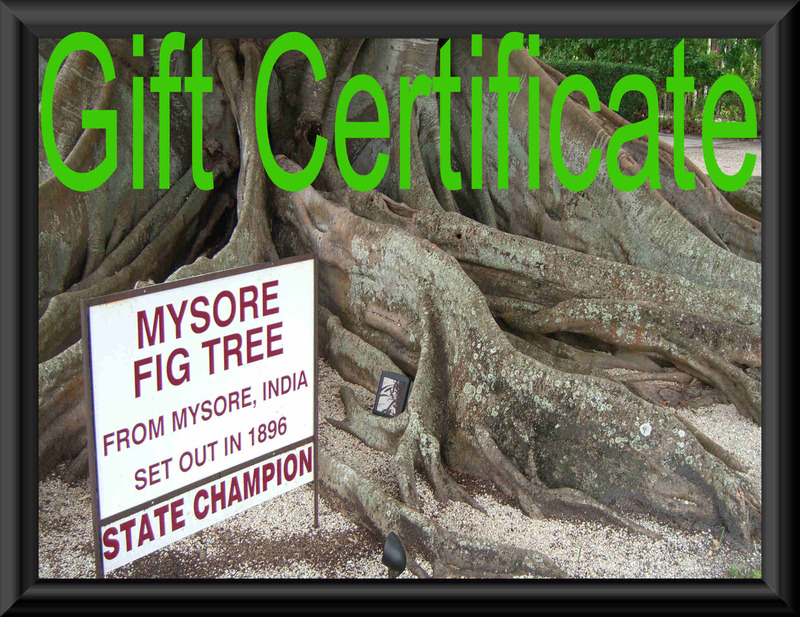 If you have any questions or concerns about the shipping please contact us at customercare@mysorefigtree.com. We will be glad to drop ship or even personally delivery if close. Just contact us for information. Remember, we can't sell what we don't have, so if you need it quick, verify that it is in stock! Unopened and undamaged items may be returned for refund or exchange if returned within 14 days of purchase. There will be no refund for any shipping costs unless a mistake was made on our part in the order. The buyer is responsible for paying the return shipping costs. A refund will be made once the items have been received and checked. Shipping charges will apply to the shipment of exchanged items. Please contact us for authorization before returning an item.